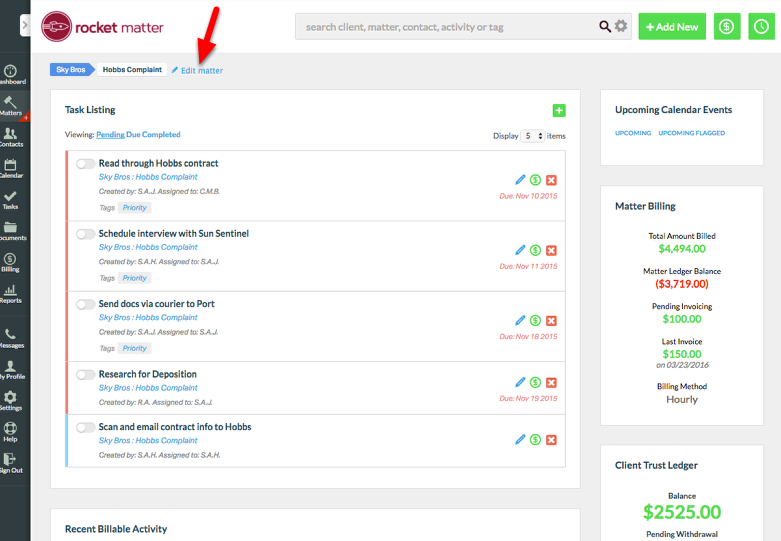 Rocket Matter Knowledge Base Invoice TemplatesInvoice Template: How to set a specific invoice template for one matter? Now Invoice Templates can be allocated for a specific Matter! 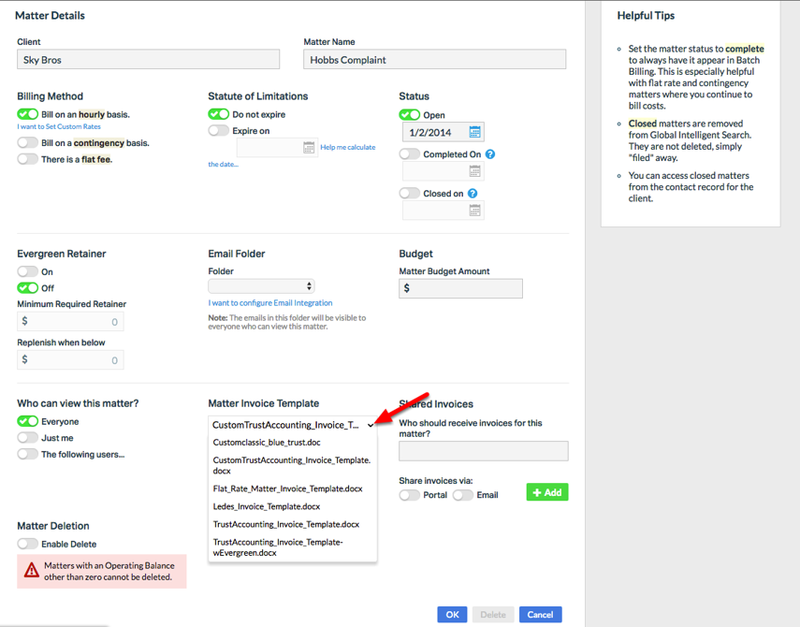 You no longer need to toggle between Invoice Templates to designate a different Invoice Template for a Matter. After setting a Invoice Template for a Matter, every invoice run for the Matter will use the designated Invoice Template, even if the invoice is run in Batch Billing. Invoice Templates are stored in the Admin Section, under "Custom Invoice Templates". You can designate an existing Invoice Template per Matter, or you can create a new Invoice Template and upload it for use with your Matter. If an Invoice Template is not specified for an individual Matter, the "Default Template" displayed in the "Custom invoice Template" section will be used when the invoice is run. 2. Select the Matter Template from the 'Matter Invoice Template' drop-down menu. Zoom: 2. Select the Matter Template from the 'Matter Invoice Template' drop-down menu. 3. Click "OK" to set your Invoice Template. Prev: Invoice Templates: How do I add or change a merge field on my Invoice Template? Next: Invoice Template: How do I add a logo to my Invoice Template?